We are celebrating another excellent set of A Level results. The overall pass rate at the Sixth Form College is 99%, with 100% pass rate in 24 out of 27 subjects, including English, History, Physics, Chemistry, Biology, Sociology and Psychology. Our students are now looking forward to starting at universities throughout the country, including Cambridge, York, Newcastle, Lancaster, Lincoln and Glasgow. Outstanding individual successes include former Holy Trinity School pupil Rhys Proud, 18, who achieved A* in Mathematics, A in Chemistry and A in Psychology and is now going to Cambridge University to study Psychology. 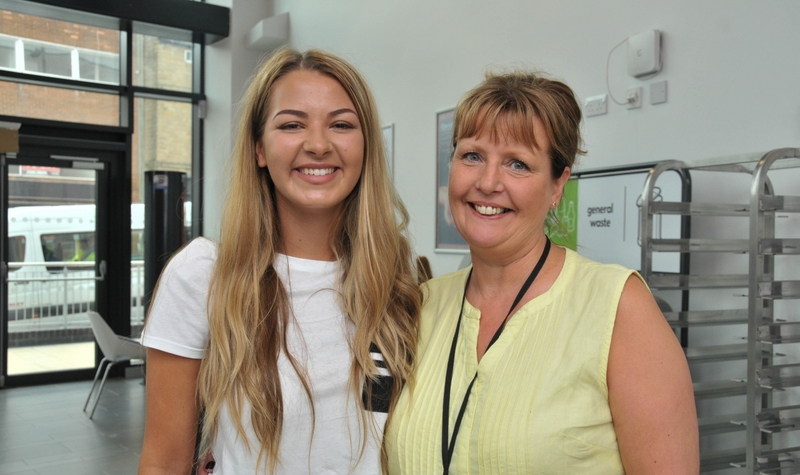 Former Horizon School pupil Brooke Fenton, 18, achieved A* in Chemistry and Biology and A in Mathematics and is going on to the University of Leeds to study Natural Science. We will be enrolling students for A Levels from Thursday 25 August 2016.